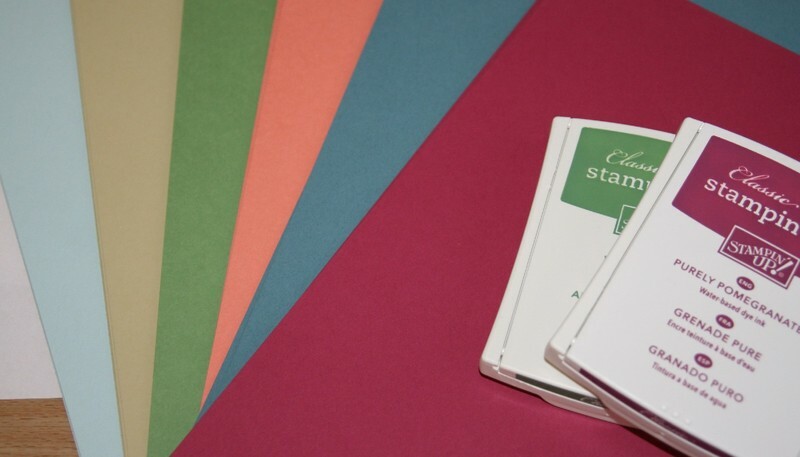 If you are just new to stamping or cardmaking this is the page for you. It can be a bit overwhelming when you discover a new enjoyable hobby, but don't know where to get started. Here are some tips that might be helpful to get you started as you browse through our catalogue. There are lots of basic supply lists around - here is mine! Paper Trimmer - To make cards this really is an essential tool I think. If you might ever be interested in scrapbooking or working with larger papers, get one that will cut 12" sheets. Make sure you can easily get replacement blades for the one you choose. Adhesive - You need something for sticking cardstock layers to cards. Try a few types and you'll find your favourite. Stampin' Up has Snail adhesive. Lately I've been using Multipurpose Liquid Glue so that I get those precious extra seconds to get my layers all lined up nicely! Stamps - There are so many stamp sets to choose from. It can be hard to know where to start. Think about what sort of cards you would like to make. For kids, adults, birthdays, thank yous?? ?Perhaps choose one of the versatile sets that have a picture with a greeting to cover a range of occasions. Or select an image stamp set you like most and a greeting set to go with it. With a greeting set and a picture set you can make great cards and then can gradually add to your collection if you choose. Use good quality cardstock for your cards and you will notice the difference. Inks - Many people start out with a Basic Black or Basic Gray ink pad and perhaps another colour or two from their favourite colour family. The best thing about Stampin' Up! products is that they colour coordinate. You get a coordinated look when your inks work so well with your papers. Stampin' Scrub and Stampin' Mist - These tools make it easy to look after your stamps and keep them clean. It consists of a tray with scrubbing pads, and stamp cleaner to spray onto the pads. Makes cleaning and conditioning your stamps so easy. I would highly recommend making them part of your tool kit. 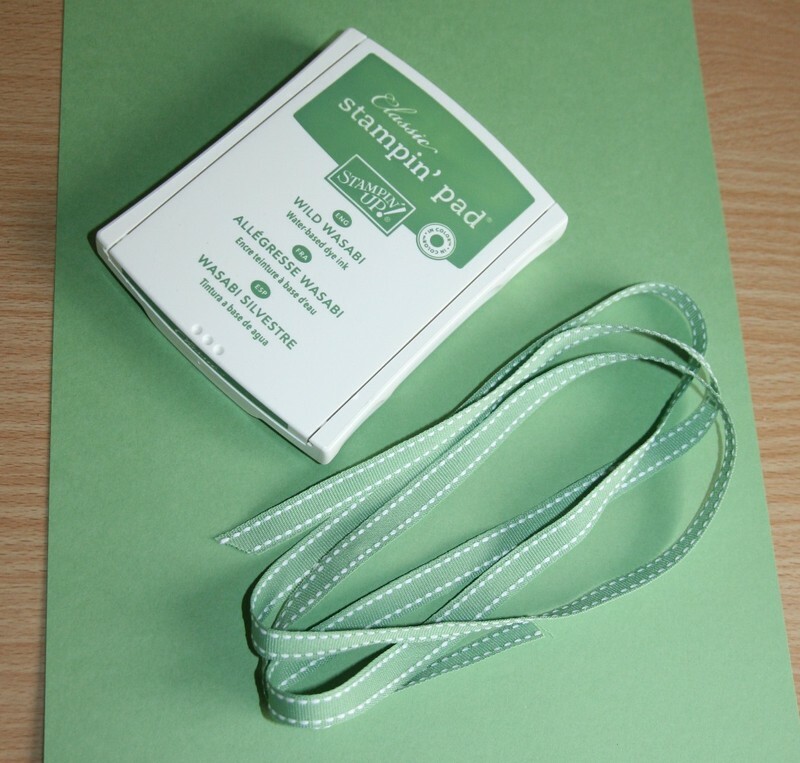 We have a range of supplies for adding colour to your cards. Check out our catalogue for some options. Come along to a class and try some of the different methods for adding colour! There are such a range of embellishment to choose from. They give your cards that little extra something. There are choices for all budgets and tastes. You might like to choose a roll of ribbon that matches your cardstock. Get together with a friend and get a roll each and share. Or perhaps you'd prefer washi tape, buttons, pearls, punches....... Now this is how our wish lists get so long! Pick your favourite embellishment and start with that. Personally I'm a big fan of washi tape. What is your favourite? Look through the annual catalogue for cards that appeal to you or browse some of my blog creations if you are not sure which you prefer. That might point you in a particular embellishment direction. If you have other crafts that you enjoy, you might already have lots of supplies that you can incorporate into your cards. Another way to get started is to select a card kit. We've got a range of kits with materials plus project instructions to help you create some cards quickly.